Warsaw, Poland welcomed the participants of Wolves Summit, an international networking conference, yet again. The interiors of the Palace of Culture and Science were filled with noise of business and technology talks for two full days. The representatives of Polish organizations that support innovative activities, including Warsaw Stock Exchange (GPW), National Centre for Research and Development (NCBiR), Polish Agency for Enterprise Development (PARP), and Ministry of Foreign Affairs (MSZ) were present at the conference. “The capital is partnering and co-organizing our event. It’s a place with the right infrastructure and favourable conditions for young companies to develop,” says Piotr Piasek, the co-founder of Wolves Summit. World firms are more eager to choose Poland as it’s a state of well-educated individuals with innovative ideas. Warsaw is also the HQ to many international corporations that attract tech projects, just like other Polish cities including Cracow, Wroclaw or Gdansk. What’s even more tempting, is the vast offer of funds, accelerators, and office spaces available. All that translates into the constantly growing value of the region. The 6th edition of Wolves Summit only ensures that Warsaw has real potential to become the next significant innovative hub in Europe. 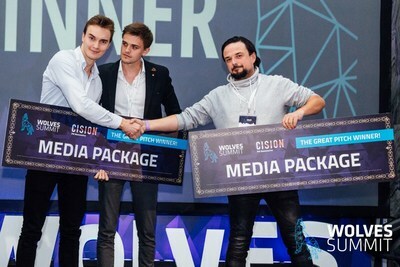 This time the event organizers decided to focus on entrepreneurs connected with Central and Eastern Europe. Among 1178 participants there were 141 investors, 285 corporate representatives and just as many startups, even though the initial plan was to accept 200 young companies. Two of them, GetAnna and Apzumi, won the Great Pitch competition, where only 38 chosen startups could join. “The main goal of Wolves Summit is always creating opportunities for business development. Thanks to that young companies can meet corporates, executives, and investors face-to-face, as well as establish valuable relations. Thus the decision to invite 285 startups,” explains Piasek. Such relations often end up as long-term cooperations. For example, Tespack, a startup present at the 2nd edition, received an investment of 2 mln euros from Arkley VC fund in 2016. Both companies met at Wolves Summit. The winner of the Great Pitch at the 3rd edition, Czech startup Twisto Payments, got the funding of 5 mln euros from ING Bank Slaski. All that thanks to 1:1 meetings, participants could schedule even on the day of the conference. According to the matchmaking system, which allows searching for participants and setting up meetings, there were 2417 1:1 talks in 2 areas supported by NCBR and GPW. The busiest people had up to 15-20 meetings a day. “What’s interesting, the need for meetings was so high, one day before the event we decided to order more tables and chairs, so the attendees could have their business talks in good conditions. We were positively surprised by the interest, so we’ll definitely be prepared better before the next edition,” says Piotr Piasek. The definite success of 1:1 meetings available at the event prompted the organizers to open an online matchmaking platform in October 2017. It will allow to match and meet all participants throughout the whole year, not just before and during the conference. More information can be found on the website wolvesgate.com/matchmaking . The 6th edition of Wolves Summit put emphasis mainly on the representatives of Central and Eastern Europe, however many investors and executives came from other parts of the world as they wanted to meet Central European projects and people behind them. The organizers are already announcing the next 7th edition of the conference. “We want the event to become a fixed point in the calendars of entrepreneurs and startup founders. On 10th and 11th April 2018 we are meeting in Warsaw again to establish valuable business contacts, ” sums up Piotr Piasek. There are 4500 1:1 meetings planned for April, as well as inviting 2500 attendees including 400 startups, 400 corporates and executives, and 250 investors. All detailed information regarding the 7th edition of Wolves Summit can be found at www.wolvessummit.com.